Apple has all but officially confirmed the launch of its iPhone 5 Sept. 12, thanks largely to a "5" hiding in plain sight on its invites to an event that day. While we can expect the next-gen iPhone to hold the quintuplet moniker, Apple has reportedly been referring to the iOS handset as "N42." No one will call the iPhone 5 by its company codename, but it's important to note the reference when talking about how much the device is going to cost you at the register. 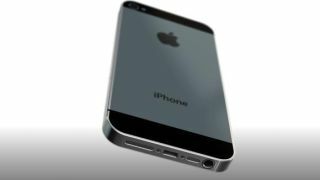 According to a published report, the iPhone N42's (aka the iPhone 5's) price points mirror those of the iPhone 4S. "A" and "B" indicate black and white. The price jumps are presumably related to 16GB, 32GB and 64GB variations, as is the case with the iPhone 4S on a two-year deal. TechRadar predicted this 4S-based pricing scheme, citing the likelihood the phone will probably be an evolutionary step in the iPhone line, a la the Siri-packing smartphone. If we see some revolutionary technology next Wednesday, then perhaps these prices will be rendered completely bogus. But from the leaks we've seen, it's likely the phone is a retooled though not necessarily groundbreaking device. Apple might offer a 128GB version, though you can expect to pay a load more for that capacity. Sources speaking with 9to5Mac say pre-ordering should start soon after the iPhone 5's unveiling, though many international customers will have to wait to get them as shipping won't begin immediately. New, iPhone 5-specific accessories like cables, cases and adapters (pluggable into an eight- or nine-pin dock, of course) are also reportedly set to ship with what will surely be a hot commodity. Until next week, check out the latest on the iPhone 5 rumors, release date and more, and tune in Wednesday to see how close we were in our predictions.